The field of merit (Skt. 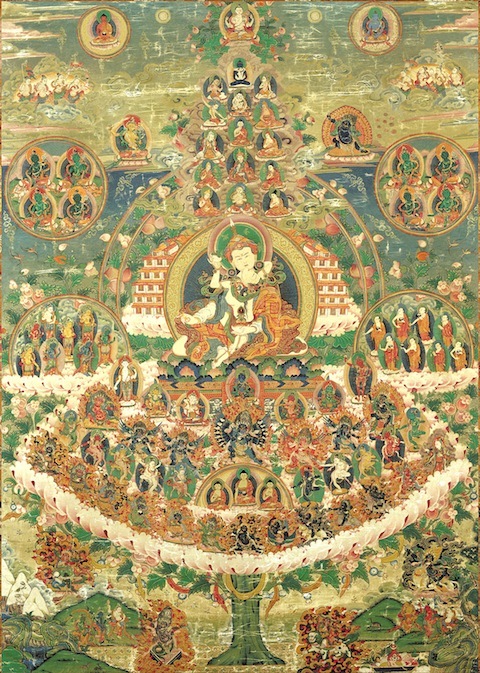 puṇyakṣetra; Tib. tsok shying; Wyl. tshogs zhing) or, more literally, 'field of accumulation', is the focus, or object, before which we practise offering, prayer, prostrations, and so on, in order to accumulate merit and wisdom. The fact that our practice and positive actions are performed in the presence of, or directed towards, such powerful objects (Tib. yul nyenpo) enhances their effect. This page was last edited on 4 November 2010, at 09:41.